Entirely wooden holiday home with a smart interior. 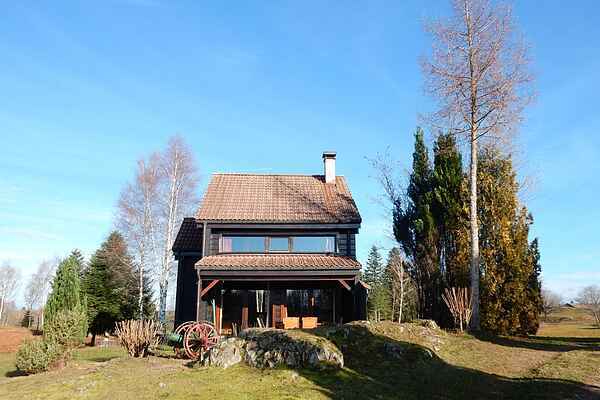 The location is very special and has a Scandinavian feel to it: you have no less than four lakes at your disposal. The entire location that you share with 3 more holiday homes measures a grand 12 hectares. A beautiful car drive through all this natural beauty will take you to the ancient city of Belfort (29 km). On the other side is Luxeuil-les-Bains (28 km) and it is, as the name suggests, an acclaimed health resort with various museums and excellent restaurants. You will also find Ronchamp (23km) in the area with its well known and frequently visited Chapelle Le Corbustier. More tips for great trips: animal park in Saint-Valbert (29 km) and the Saut de l'Ognon (4 km), a gorgeous spot at the source of the Ognon. Kayaks and canoes for a sportive trip on the mountain streams can be rented in Longevelle (36 km) and Conflans (44 km). Tennis court in Miellin (6km) Swimming pool in Mélisey (12 km), bakery and daily groceries in Servance (4 km).